Like all boilers, common Vaillant boiler faults need to be diagnosed via troubleshooting. It’s important to understand that all work should be completed by a Gas Safe boiler engineer. Consider getting an expert to quote the repair cost. If it’s too much, it might be worth considering the cost of a new boiler. Many quick fixes are just that; boiler faults will keep appearing until the root of the fault is diagnosed and fixed. And understanding the fault code is the first part of the process. If your already know what the fault code for your Vaillant boiler is, click through to the relevant section. One of the most common Vaillant boiler problems is the F22 fault code. This problem is common on the Ecotec Plus and Ecotec Pro models, in particular the Vaillant Ecotec Pro 28. This code is connected to a lack of pressure, or water. Most newer boilers have sensors that will constantly measure the pressure of the water in the system. If there is a pressure drop, the sensors kick in and display an error code. You may find that there is a red light on the display board. This is simply a clarification that the boiler is not firing correctly. The F22 fault code will automatically put the boiler into a limp mode, much like a car would if the ECU detects a problem. If it continues firing without enough water, it could damage expensive parts within the boiler. Many websites suggest that a simple fix is using the filling loop to top up the pressure on your Vaillant boiler. Whilst this in theory is correct, it doesn’t fix the problem. A boiler doesn’t just lose pressure for no reason, so the fault needs to be fixed. Boilers tend to sit at 1.5 bar of pressure. If it has dropped below this, topping up via the filling loop is only likely to cause further damage. Your system should be dosed with inhibitor, and by topping up the boiler’s pressure using the filling loop, you are diluting the chemicals that are protecting the system. Leaks are one of the most common reasons a boiler loses pressure (and water). They can come from radiators, towel rails, radiator valves, pipe work, air vents or even expansion vessels. Another common cause is a build-up of air in radiators. However, a faulty pump could also be the culprit. A lot of older Vaillant boilers used Wilo pumps. They are prone to faults and over time they seize or start to leak. This would be the cause of low pressure and lack of water. The next common Vaillant boiler fault we come across is the F27 fault code. The boiler’s sensor has noticed that the flame is not correct. The PCB is not working correctly, and the flame is working fine. The gas valve is not working correctly, and therefore, the boiler is not getting the correct amount of gas to produce the correct flame. The flame sensor is detective and needs replacing. In some cases, the boiler doesn’t fire at all. In this instance, a likely cause is ignition leads. This is certainly not one of the easy Vaillant boiler faults to troubleshoot. A Gas Engineer will need to come and inspect the boiler and its internal components to diagnose the problem. Where the fault relates to anything but the PCB, usually replacing the parts is the most economical option (assuming the rest of the boiler looks like it is in good condition). Like many boiler faults, if it relates to the PCB, it’s usually much more economical to fit a new boiler. The cost of a PCB and labour for installation can be as much as £500. For an old boiler that is not likely to last more than a few years, replacing the PCB is certainly not the best option. The Vaillant F28 boiler fault code is not as common as the F22 or F27. And the F29 code will be displayed after similar symptoms are shown to the F28 fault code. This fault code will usually be displayed after you experience a boiler lockout, and you have no supply of heating or hot water. It relates to one thing; lack or no supply of gas. Being a gas related fault, you shouldn’t try to attempt to fix this problem yourself. Always call a Gas Engineer. From a fault troubleshooting point of view, you can try one thing. If you have any other gas appliances (such as a hob), check that they work. It’s an unlikely scenario, but it could be a problem with the gas supply (meter has run out, supplier has cut off the gas or repairs to gas main in your road). Out of all the Vaillant boiler faults we come across, the F75 fault code is the most common. It’s particularly common on the Eco Tec Plus range and the Eco Tec Pro 28. The Vaillant service manual will list the following error in relation to the F75 fault code. I’ll say right now, the most common cause of the F75 fault is the pump. And there is a good reason for that. Most newer Vaillant boilers use top quality Grundfos pumps. However, this has not always been the case. Older Vaillant boilers used to use Wilo pumps. They are known for being extremely unreliable. In fact, they are probably the component most likely to break in these older boilers. You can do a quick manual check of the pump on your Vaillant boiler by starting up the heating, or running the hot water. After the boiler fires up, you’ll hear a gentle humming noise. So, everything being well, this should be the noise of the pump circulating the water through your pipework and radiators. If there is no sound after starting up the boiler, there’s a good chance that the pump is the cause. Older Wilo pumps ended up getting seized bearings (especially after a long period of non-use) and a replacement is the best option. The other scenario is that it’s the pressure sensor causing the F75 boiler fault. Like the Wilo pumps, the older Vaillant pressure sensors were not particularly durable. In fact, they were revised 3 times over a short period. Heating systems have a lot of debris build up (carbon and sludge) over time. This can block the pressure sensor and cause it to be defective. A Gas Engineer will be able to diagnose the boiler fault and take the appropriate action. If you need to replace the pump, it’s likely to cost just under £300. For the pressure sensor, the cost will be just under £250. Need help from qualified engineers? > Click Here <. 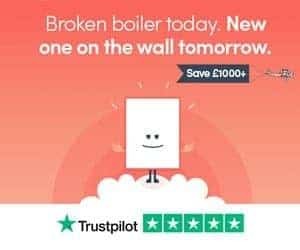 Or, if you have a Vaillant boiler fault not listed, please use the comments and we’ll get back to you as soon as possible.